For as long as she can remember, it’s been just Ariel and Dad. Ariel’s mom disappeared when she was a baby. Dad says home is wherever the two of them are, but Ariel is now seventeen and after years of new apartments, new schools, and new faces, all she wants is to put down some roots. Complicating things are Monica and Gabe, both of whom have stirred a different kind of desire. Maya’s a teenager who’s run from an abusive mother right into the arms of an older man she thinks she can trust. But now she’s isolated with a baby on the way, and life’s getting more complicated than Maya ever could have imagined. Ariel and Maya’s lives collide unexpectedly when Ariel’s mother shows up out of the blue with wild accusations: Ariel wasn’t abandoned. Her father kidnapped her fourteen years ago. What is Ariel supposed to believe? Is it possible Dad’s woven her entire history into a tapestry of lies? How can she choose between the mother she’s been taught to mistrust and the father who has taken care of her all these years? In bestselling author Ellen Hopkins’s deft hands, Ariel’s emotionally charged journey to find out the truth of who she really is balances beautifully with Maya’s story of loss and redemption. This is a memorable portrait of two young women trying to make sense of their lives and coming face to face with themselves—for both the last and the very first time. Written in both verse (mostly) and prose, The You I've Never Known is another winner from Ellen Hopkins. 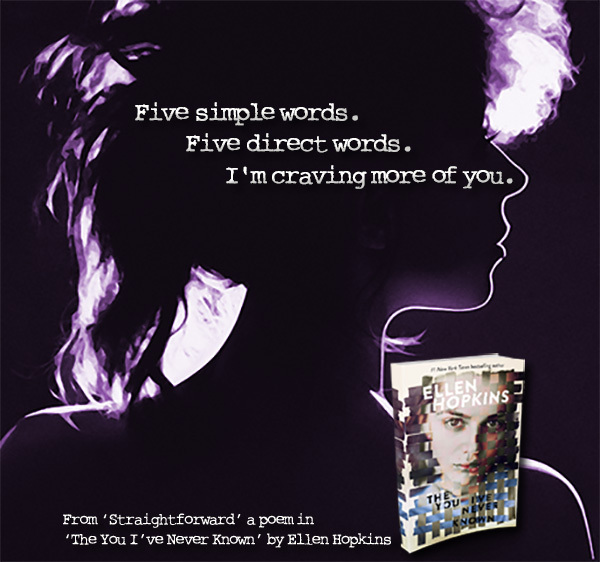 No one does verse like Ellen Hopkins does. She can convey emotion through verse in a way that some have trouble accomplishing in prose. It's a beautiful thing. Firstly, the blurb, in my opinion, gives off way more information than it should. It spoils a major part of the book (though people would likely guess it anyway). It didn't affect my enjoyment of the book, but I can see it how it might for some others. 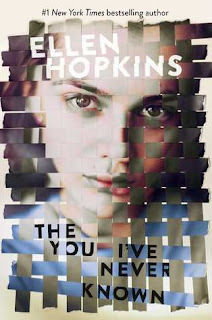 The You I've Never Known, much like all of Ellen Hopkins's work, hits on some real life issues. There's kidnapping, abuse, sexual identity, and forgiveness. As always, she tackles these issues in a real and honest way that keeps you reading and wanting more. 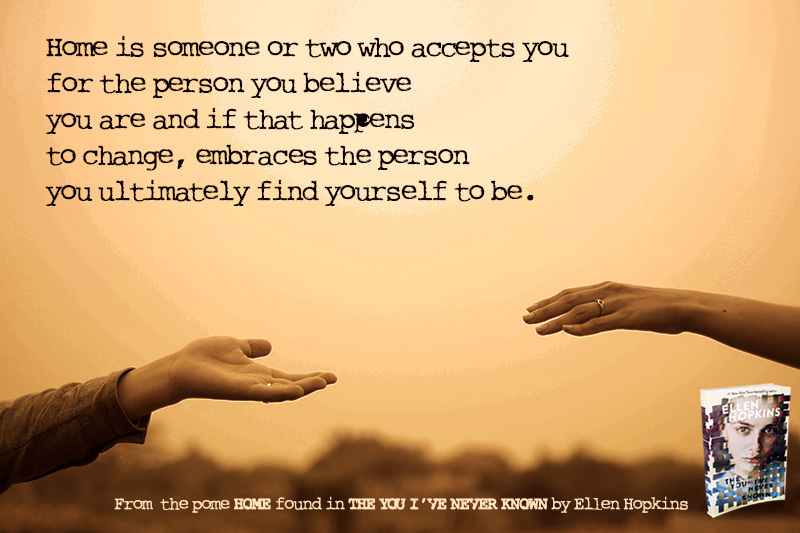 Ellen Hopkins is a poet, freelance writer, and the award-winning author of twenty nonfiction titles and five NY Times Bestselling novels-in-verse. She has published hundreds of articles on subjects ranging from aviation to child abuse to winegrowing. 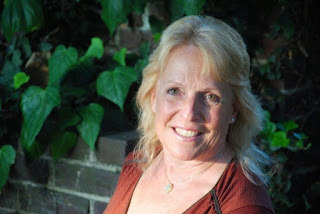 Ellen mentors other writers through her position as a regional adviser for the Nevada chapter of the Society of Children's Book Writers and Illustrators (SCBWI). She is a regular speaker at schools; book festivals and writers conferences across the US, and now throughout the world.